This month we are treating our members to some rum-tastic cocktails to welcome in summer. The first cocktail is the yummy Mango Tango, it is everything from fruity to refreshing in one glass. All you need to do is stir, sip and relax - preferably on a beach, however we understand if it is in a deckchair in the garden with your eyes closed. Banana Dream cocktail is the next treat and it is exactly how it sounds. The rich creaminess of Coole Swan combined with the coconut flavours from the Malibu and fruitiness from Marie Brizzard's Banana Liqueur is just everything anyone would have ever dreamed of. Summer would not be the same without a Mojito, agreed? Well, how about a Spicy Mojito! Nix and Kix Cucumber and Mint mixer combined with Mount Gay rum makes for an easy and delicious classic. Create a smooth and nutty Crushed Nuts cocktail to bring the tropical flavours straight to your hands. Blend Folkington's Mango Juice with Malibu until smooth, and to top it off, add a generous splash of Disaronno to create those desired almondy flavours. 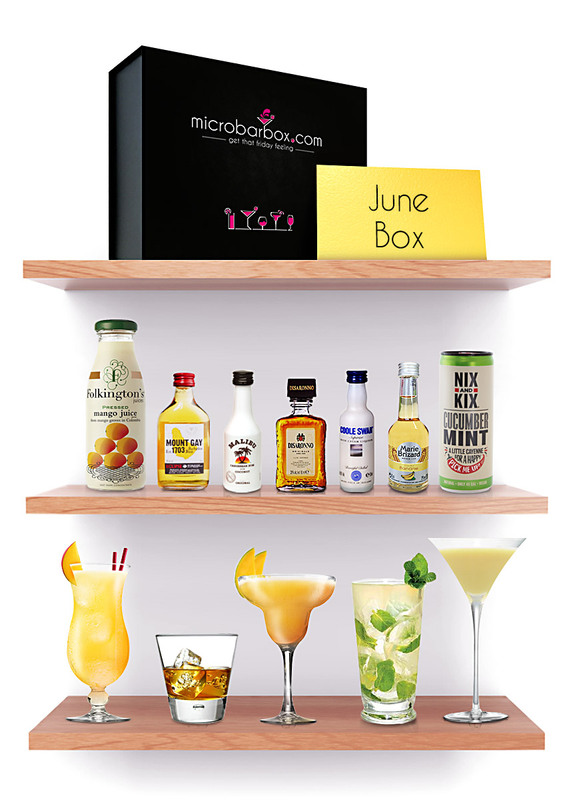 PS: Don't miss out next month, here's a MicroBarBox Discount Code: 5OFFCOCKTAILS to receive £5 off your first monthly Cocktail Club box.